“I was DJing for a few years first. It was always in the back of my mind that I’d like to produce music one day but in the beginning, I was just 100% focused on DJing. 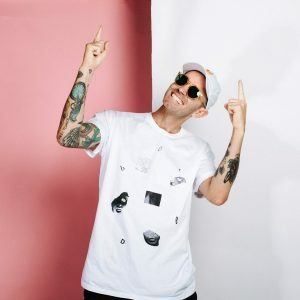 At some point I just really wanted to be able to make my own tunes, inspired by the ones that I was playing out, so that’s when I decided to give it a go,” says futuristic electronic artist Paces, on his move from DJ to music producer. It’s a familiar tale that many see as a natural metamorphosis. After watching the world groove to the tracks you play on nights out, many DJ’s want those punters to be moving to their own musical creations. You probably already know that the learning curve to music production is a steep one. But if you’ve already mastered the decks, you might think you’re the very bottom of the hill, and you’re not. In comparison to the average music-lover, you’re already a few steps ahead. You’ve gained skills from your time on the decks that you can use to leap off and build on in your journey to making music of your own. Some of these skills, you might not have even thought were relevant. The quickest way to make absolutely no progress is by convincing yourself that the road is too difficult to start tackling. So let’s start off your music production journey with a little pat on the back – an acknowledgement of where you are, what you know, and what more you need to learn to be where you want to be. From here, we’ll walk you through the knowledge pillars most DJ’s are already on top of, that will definitely benefit you in your music production journey – and how to use these to jump off and start learning more. We got the perspective of two well-established DJ/Music Producer slashies – Paces and Lex Deluxe, to relay their experiences. As a DJ, your sense of rhythm and timing is already down pat. 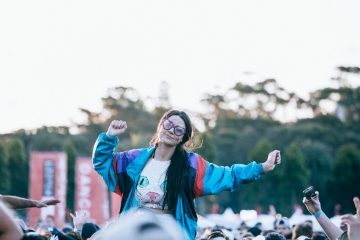 From all those nights you’ve spent moving and grooving whilst counting to four, you understand how the concept of rhythm in music makes people feel – and more importantly, how to change it in ways that feel right. You know how to use changes and transitions in rhythm to change how listeners feel. So, when it comes to music production, you just have to apply that knowledge to a different context. Instead of making two different tracks flow together, you need the different sections of your own track to flow together – aka, arrangement and structure. But of course, there’s plenty more to learn. The next step? Further developing your music theory knowledge. We will acknowledge – there are incredible musicians and music producers who don’t know or care for music theory. But for most, especially if your only musical experience is DJing, you can trust that learning how music works will speed up your songwriting process like crazy. 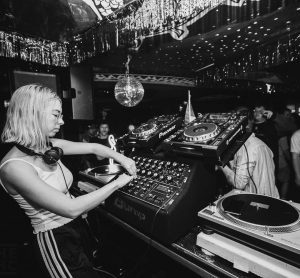 “I know for sure that I would not have picked up DJing or producing as quickly without knowing about chord progression, how to use dynamics, and all the other musical concepts!” says Lex Deluxe. You need to move from understanding rhythm in terms of beat matching, to using rhythm to compose and control how your listeners move to your song. You need to move from matching pitches so that they flow together without clashing, to making decisions on your melodies and harmonies, on utilising chords to match the feelings you want to evoke. “I played the guitar as a kid, so I had some basic understanding of music but I mean, it was really very basic. I’d say the only thing I really carried with me into my early music productions was the ability to hear if things sounded right. I definitely didn’t have any theory on board. That came much later after I’d been producing for years. I picked up bits and pieces of music theory from friends and online tutorials, and then a couple of years ago I put myself through a course which focused on harmony. That was a really big step, and it’s made my songwriting process so much faster and more deliberate,” says Paces. As a learning music producer, you’ll spend a lot of time stabbing in the dark, playing around on a keybaord, or picking out sounds randomly – with a knowledge of music theory and chord progression, you’ll be able to pinpoint how to do create what you’re hearing in your head, much quicker. You probably have a better-than-most knowledge of what’s good when it comes to music, and what moves people – physically and emotionally. With all the bangers floating about on your USB’s, you have a great understanding of what’s popular, what’s fringe, what’s on the rise, what’s overdone. Without this, you wouldn’t know how to come up with something with a bit of a twist, something that stands out. When it comes to creating your own music, try taking a close look at what you love, and taking little pieces of techniques or ideas from those tracks. Then look at something you’re unfamiliar with style wise, or something you like that doesn’t seem close to where you want to be – and try to see if there are any elements you could take and twist to suit your desired style. Mish-mashing stylistic influences is how some of the most unique sounding music is created. So when you’re looking inwards for creative ideas and feeling stuck – look around you instead. Take what you know works, and put a bit of your own spin to it. After a solid amount of time and experimentation, you’ll find it’s just a representation of you. If you’re an electronic DJ, you understand what works in the clubs – be sure to use that to your advantage. “I’d say it’s definitely an advantage if you’re making dance music, because you know what works from a DJ’s perspective and what works for the crowd. Often the tracks that I make are more geared toward streaming or radio but if I’m making a remix or something that’s intended for DJs to play, I’ll definitely think about things like making an easy-to-mix intro,” says Paces. “In terms of composing dance music, being a DJ you just know what you would want a song to do. You know how long you’d want the intro to go, giving time to mix in the song, and how big the drops are, etc,” says Lex Deluxe. And comparatively, you can then work out what works for those sitting in their bedrooms with their headphones on. Picture it – you’re on the decks, and you’re transitioning from one track to another. So you pick out the most distinctive feature, loop, or sample from the first track, and keep it ringing throughout your mix as one track fades into the other. As a DJ, you do this on the fly, all the time. The hook itself might be simple – but these are the moments that listeners will remember amongst the flood of songs that pass through their ears on the daily. You know how to spot these moments. When it comes to creating your own music, you need to learn how to create the iconic hooks that stick with the audience, yourself. There’s a bunch of ways you can do this, but one of the best ways is to find a sample you love, and flip it on its head. “One thing that DJing introduced to me was the use of sampling. 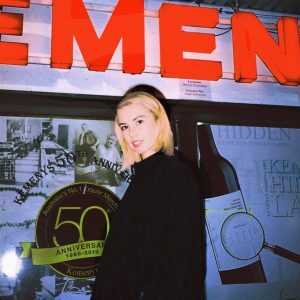 I used to listen to a lot of Moby with my parents growing up, and looking at his use of sampling retrospectively with, say, Loods, KH, or Karizma; it really opens your eyes to how different you can take one creative process,” says Lex Deluxe. As a DJ, you’ve got a whole lot of buttons and technology at your hands. From prepping your sets through software, to adding effects on the fly, to adjusting your EQ’s – you know how to get around hardware and software to make your sets sound great and get things done. When moving into producing, you’ll find yourself levelling up to the max – because, with a music production interface like Ableton Live, your options for creation go far beyond turning an effect up or down. And with limitless options, comes plenty of learning. But once you find your way around the software, you can use its tools to manipulate sound however you please. 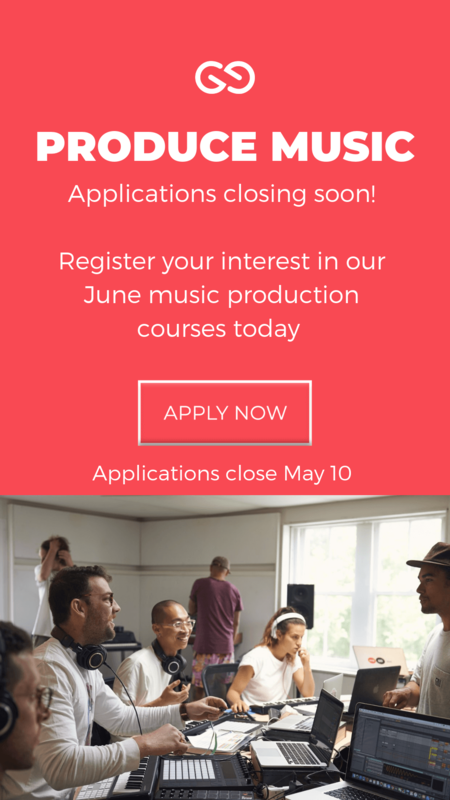 “Starting out, I would only use Garage Band, as it was free and super easy. I then progressed to Logic, as it seemed to be the ‘step up’, but the sampler is a nightmare to use. So I would definitely say Ableton is the hardest one to learn the ropes to, there is no way you can just open the program and press ‘rec’, but it is so worth it with how creative you can get! Once I started DJing, I went to SAE for a brief stint and learned how to use Ableton. So progressing from that, I have taught myself the ins and outs of Ableton, but there’s always more I want to learn,” says Lex Deluxe. 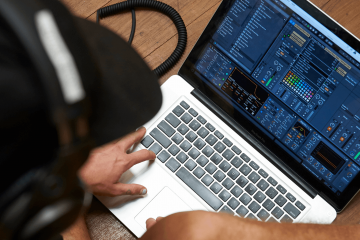 Play around with Ableton Live – learn your way around the interface, understand what features and tools are available, and then dive straight in – when it comes to software as huge as a DAW, you’ll learn the most by getting your hands dirty. Try taking a track you love, and then listen to it until your ears can’t take it anymore. Deconstruct the arrangement, instruments, and think about how each section of the song makes you feel. Then ask yourself, why does it make me feel that way? Was there a particular effect, sample, interesting sound that contributes to how it sounds. Then, the fun (and difficult) part – try and recreate the track yourself, note for note, and more importantly – using effects and adjustment settings to get as close to the original as possible. As mentioned, this is your stepping stone – so go forth with what you have, build and develop your music production, and then develop some more. 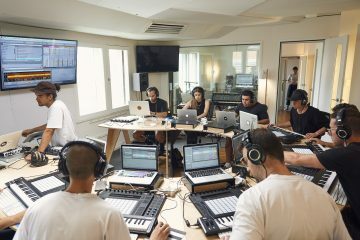 If you want to make electronic music and have a go at a free Ableton music production course – try our free Ableton Liveschool course with Flume now!